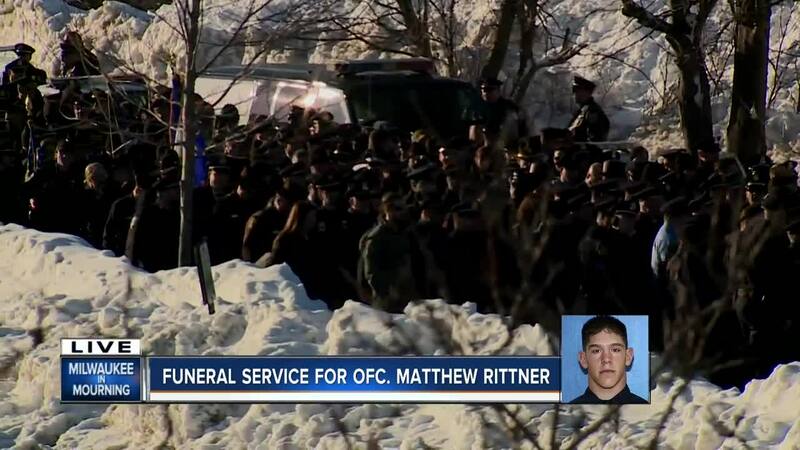 Law enforcement officers and military comrades leaned on each other as a Milwaukee police officer fatally shot while serving a warrant was laid to rest Wednesday. The funeral service was held Wednesday afternoon followed by a procession to the funeral home. The 35-year-old tactical unit officer was fatally shot while serving a search warrant a week ago. Rittner is survived by his wife and a young son. The officer served Milwaukee Police Department for 17 years.